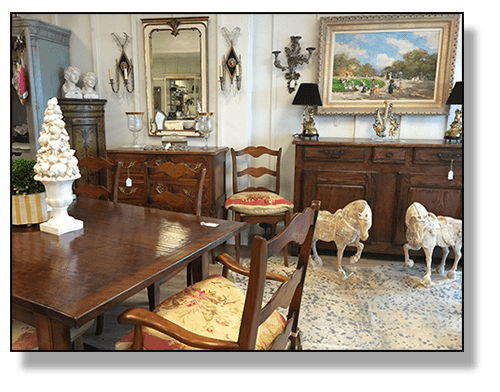 We moved the Dovetails llc store on 10th and the Auction Gallery (Auctions Neapolitan) to the old St. Vincents DePaul building – 3196 Davis Blvd. Naples, FL 34104. Come and visit! It’s big, bright, and beautiful. Loads of room for our store, the auction gallery, our custom paint area and of course, all of our fabulous Annie Sloan Paint products. Wouldn't you love to update your kitchen? We offer beautiful custom finishing solutions at extremely competitive prices. There is no need to replace your cabinets. We can completely change the look of your kitchen with our low VOC, environmentally friendly products. Yes, you can! Tap into your creative side (yes, you do have one) and join us to learn how to revamp, restyle, and bring new life to your home furnishings. Advanced Class: Second Saturday of each month.